Machine speed:- 800 kg/ 8hrselectric control panel.dipping range 3.00 to 8.00(adjustable)main motor: 1.0Hp with gear box req.power : 1Hplength of incense: 8" to 12"machine weight:250kgfree:- training of machine operation and general maintenance.free:- 1 tool set.warranty: 9 months in main motor. 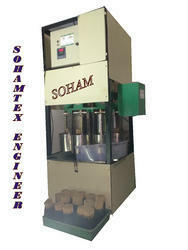 this machine designed by our engineers this machine is produced but our technical staff. (not import from another country)easy to operate & low maintenance MADE IN INDIA. Type of bundle:500 Grams. (1 kg.Optional). · Machine Speed: 3000 Kg/8Hr. · Free: Training of machine operation and general maintenance.Free: 1 tool set. Production Capacity 3000 Kg. per 8 Hr. Dipping Hight:half dipping & full dipping. Production Capacity: Up to 3000 Kg / 8 HR. Production Capacity 3000 Kg/ 8Hr. Dipping Height :half dipping full dipping. Production Capacity: 3000 Kg/ 8Hr. Looking for Automatic Incense Dipping Machine ?